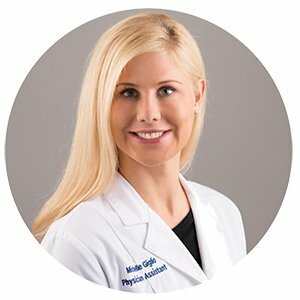 Michelle is known for her cosmetic artistry and offers the most innovative injection techniques for facial rejuvenation. She consistently seeks the most current trends in filler application and safety by learning from renowned doctors worldwide at conferences and meetings. Prior to joining Robinson Facial Plastic Surgery in June 2016, she worked for a facial plastic surgeon in Orlando, Florida for 5 years. She enjoys establishing long-term relationships with her patients and seeing them through life milestones. The fulfillment of transforming personal areas of concern into renewed self-confidence for her patients is central to her delivery of treatment.